Pope Frances declared, “The Reformation is Over”. Was he right? In 1879 a series of spirited talks were given in Lancaster, PA which were sharply critical of the doctrines and character of Martin Luther and of the Reformation. In response, Rev. 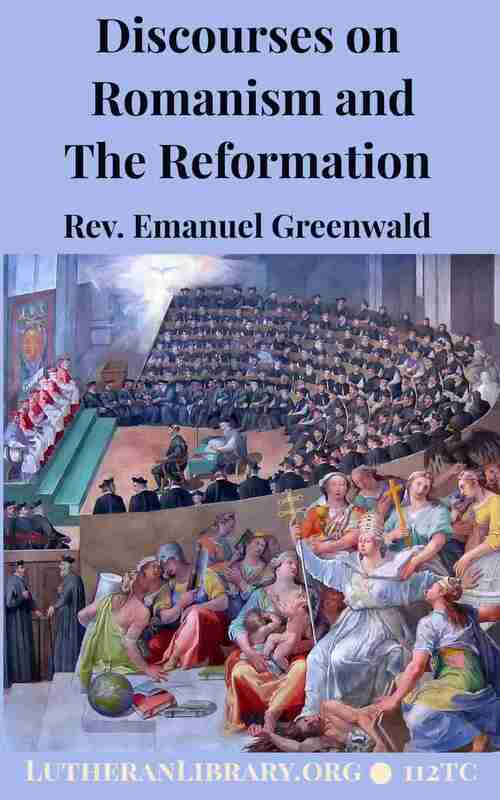 Greenwald gave seven Sunday Evening Sermons addressing the points raised. These content of these well-attended messages were published later that year under the title, Discourses on Romanism and the Reformation. In 2015, Pope Frances declared, The Reformation is Over.1 Is the Pope right? Many evangelical Christians don’t see any significant differences between what they consider the “different flavors” of Christianity. For this reason, some background knowledge is needed of what happened back then and why, if only to show respect for those brothers and sisters in the faith who gave their lives to uphold their consciences. What were the essential issues? Do they still apply? Has the Roman Catholic Church changed in its claims? Who founded the Church of Rome? Who was the first Bishop in Rome? According to the Roman Catholic Church, what is the office and jurisdiction of the Pope? What is the Power of the Keys? How did the Papacy develop over time? How do the Apocryphal Books relate to the Old and New Testaments? What is the role of oral tradition? Are human beings justified by faith plus works? Is the Mass a sacrifice for sins? Should we invoke saints in prayer? What was St Bartholomew’s Eve? The Huguenots, Waldenses and Vaudois. How the Gospel as a system of faith and salvation became corrupted. 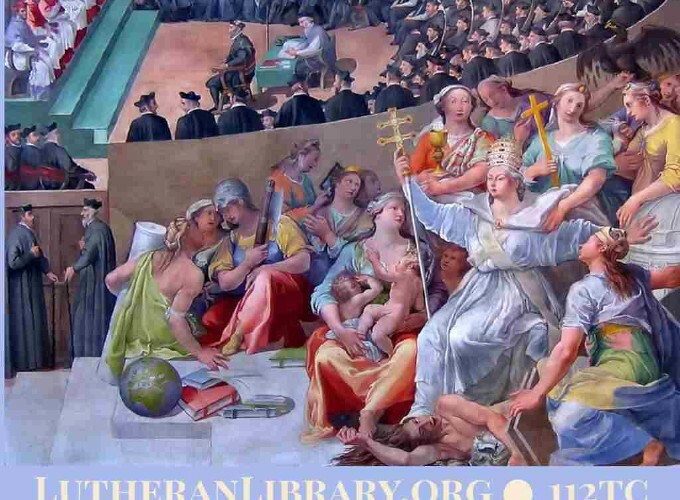 The despotism of the Papacy in the Dark Ages. The gross ignorance of the clergy and the people. The licentiousness of the priests and monks. Strong opposition to the use and worship of images including by Charlemagne, Agobard, and Claudius, Bishop of Turin. Bernard of Clairvaux’s calling out of drunkenness and other vices of the Popes, bishops, monks and priests in the twelfth century. Rejection of the hierarchical Papal system by the Catharoi in the eleventh century. Peter de Bruys efforts against superstition and abuses from 1110 - 1130. The Albigenses in the twelfth and thirteenth centuries. Emanuel Greenwald, D.D. was born in 1811 near Frederick, Maryland. His devout parents prepared their son for the ministry from an early age. Emanuel studied theology under the personal supervision of Rev. David F. Schaeffer. Rev. Greenwald’s first parish in New Philadelphia, Ohio included country for fifteen miles in each direction. At one point he supplied fourteen preaching points on Sundays and week-days. May Jesus be the Table Guest in every house! With fervent prayers for the divine blessing upon this humble attempt to glorify His dear name, this little volume is sent forth into our families.